In late 2017, on my thirtieth birthday, my girlfriend got me a gift for my new hobby. I must say she has always supported me in my crazy obsessions and hobbies. In this case the obsession started a few months prior after coming across a First Person View (FPV) Drone freestyle video. In early 2010’s FPV drone racing and aerial photography drones began to be more accessible to the larger populace. This was due, in part, to the components beginning to become more affordable and the spread of toy drones. From these toy drones, new RC enthusiast’s began to experiment and joined RC veterans in the world of FPV. FPV drones grew rapidly in popularity, racing events began to pop up in 2016 and the sport began to grow. Youtube was also a major factor in a lot of growth as more people were exposed to the hobby. From my own experience, Youtube helped me to begin to figure out the road into my new hobby. From a technical aspect it was the passion shown by the creators and enthusiasts from around the globe that inspired me. Creators such as Stu from UAV futures, Joshua Bardwell and Arron from Project Blue Falcon, were and are my go to sources for technical information, build guides, reviews and setup. Obviously, these creators are only a few from an ever-growing community. From this starting point I ordered my first drone based of another creator’s review. The drone was a prebuilt drone with minor set up needed. I used the information I gathered from Youtube and the internet to set it up and crash it into a wall. That first crash was certainly not the last. The initial setup of the drone was done through an open source program called Betaflight. Betaflight is based off a fork from BaseFlight which was a fork of MultiWii. These open source UAV softwares use open-loop, closed-loop or hybrid control architectures to incorporate sensor data, controller inputs and real time data to sustain optimal flight characteristics. Betaflight is one the more popular programs and as is currently on release v3.3.0. 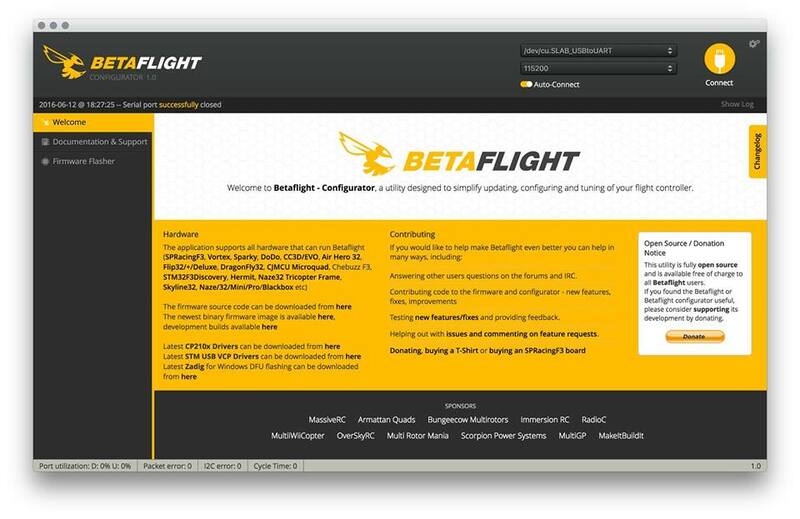 The configuration through Betaflight is straightforward as it uses an intuitive UI that is easy to navigate for new users. Advanced users can also make changes within Betaflight by inputting commands through their Command Line Input (CLI) tab. Fast forward a few weeks and here is this gift, with all the components I would need to build my own drone. 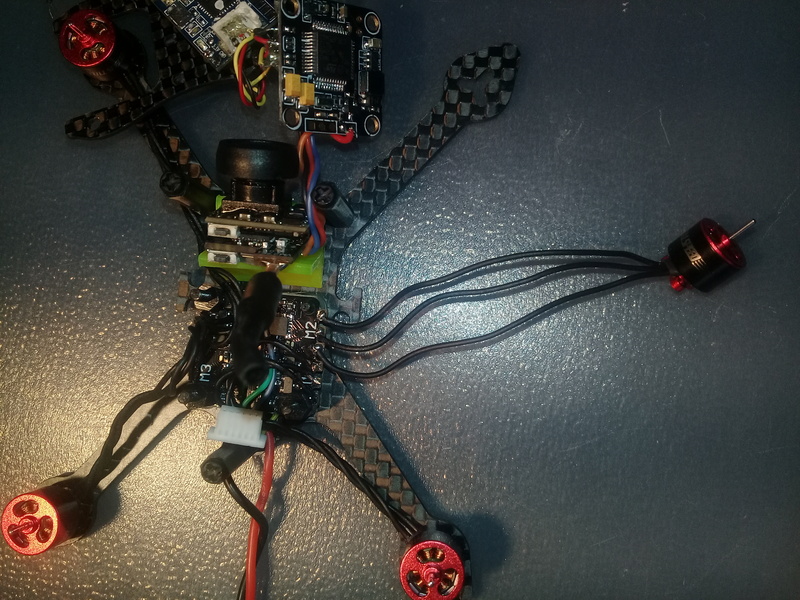 It was a daunting task to build and eventually fly a complex machine such as a FPV drone. This is when my reliance on the technical expertise and ‘know how’ of those creators really began. These people laid the groundwork for me and most likely many other pilots to help us to get off the ground. Without the “technical support” of these creators I would not be writing this blog today.